First images and video of Nokia 9 leaked today. A new leaked video shows four Nokia phones. 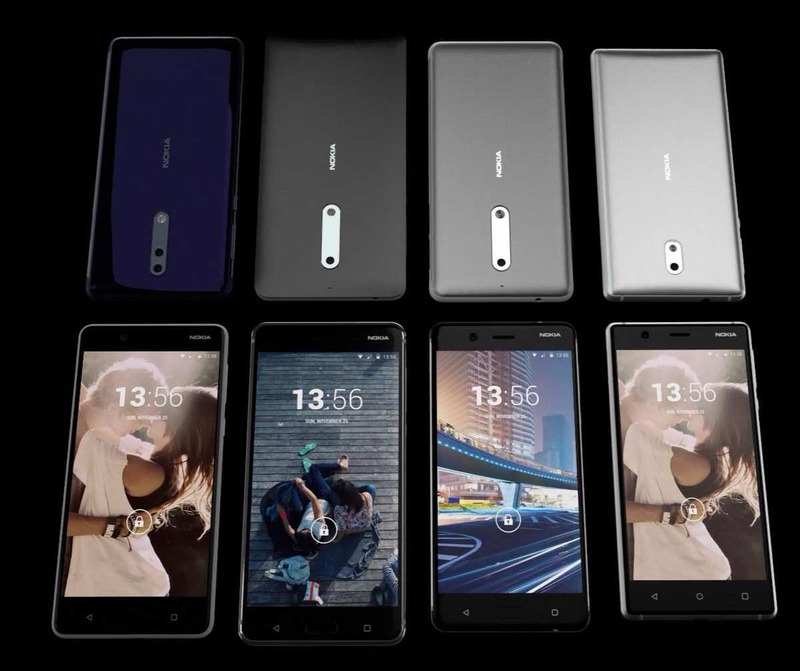 The first three can be guessed to be the three available Nokia 3, Nokia 5 and Nokia 6 smartphones. But the fourth one with the dual camera setup is expected to be Nokia 9. HMD is expected to launch Nokia flagship phone this year and Nokia 9 is the right contender for being a flagship. Hence, in all likelihood one of the phones shown in the video with dual rear cameras in a vertical set-up with LED flash below is Nokia 9. According to the previous rumors, Nokia 9 will sport a metallic unibody. The device may also include Snapdragon 835 chipset, 22MP dual rear cameras with Carl-Zeiss lens with another 12MP camera placed at the front. The screen size is tipped to be 5.5-inch with QHD, OLED display. Android 7.1.2 Nougat is expected with 3800 mAH battery with Quick-Charge 4 support, 6GB RAM, and 64GB or 128GB ROM. Other notable features include a fingerprint scanner, IP68 certification and Nokia OZO audio for great sound. We have to take all these rumors with a pinch of salt.